John Banks was clearly a remarkable man. Born 6 Feb 1806 in Colne Lancashire to John Banks, a weaver, and Betty Harrison, he was baptized in 1840 by Parley P. Pratt, and rose to be one of the leaders of the British Church and an outstanding missionary. He came to Utah in 1850, and captained an emigrant company from Nebraska to Salt Lakein 1856. He established a homestead at Pleasant Grove, Utah, but apparently was not satisfied with the life of a simple farmer and had aspirations as a leader. He thought Brigham Young had promised him the Presiding Bishopric of the Church, and when it wasn't forthcoming, he joined the Morrisites as 2nd Counselor to Joseph Morris and was killed when the Morrisite fort was attacked by the Utah militia in 1862. Banks, John, one of the ablest and most eloquent local missionaries of the British Mission, was born Jan. 2, 1806, at Colne, Lancashire, England. He was baptized Sept. 8, 1840, by Parley P. Pratt and soon afterwards ordained to the Priesthood and sent out to do missionary work. 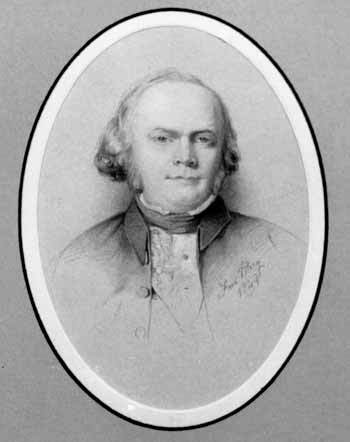 As early as January, 1844, he presided over the Preston branch, in Lancashire, and at the general conference of the British Mission held at Liverpool, April 6, 1844, he represented the Preston conference. He was ordained a Seventy June 4, 1844, by Reuben Hedlock and in March, 1845, he was appointed to preside over the Edinburgh conference, Scotland, which conference he represented at the general conference of the British Mission held at Manchester, April 6, 1845. At another general conference held at Manchester, Dec. 14, 1845, he was called to act as second counselor in the presidency of the British Mission, after which he traveled a great deal, attending conferences in different parts of the mission. He continued to act as counselor until Reuben Hedlock was succeeded in the presidency of the mission by Orson Spencer. In September, 1847, he was appointed president of the Manchester conference, but before the end of the year (1847) his field of labor was changed to London, where he presided over the conference until early in 1850, when he emigrated to America, crossing the Atlantic in the ship "Argo", which sailed from Liverpool Jan. 10, 1850, and arrived in New Orleans March 8, 1850. He crossed the plains the same year, and the following is recorded in the Journal History of the Church of Oct. 6, 1850: "The afternoon meeting held in the Bowery (G. S. L. City) was addressed by Elders John Banks (lately arrived from London, England), Orson Spencer and Parley P. Pratt. In the course of his remarks Elder Banks said that the work in England had made marvelous progress in the last two years; in London alone 2,569 had been baptized during that time and 30 flourishing branches organized. He believed a thousand Elders could find plenty to do in that city alone in promulgating the principles of the gospel". Before leaving England, Bro. Banks married Ellen E. Kendel, who bore him six children, three boys and three girls; they are all dead now, except Franklin C. Banks, who lives at Pleasant Grove, Utah. Almost immediately after arriving in Utah, Elder Banks settled with his family at Pleasant Grove, thus becoming one of the first settlers of that flourishing town, and there he resided the remainder of his life. In 1862 he became influenced by the teachings of Joseph Morris, with whom he located temporarily on the Weber river, near Ogden, and during the fracas which took place between the expedition under Capt. Robt. T. Burton and the Morrisites Joseph Morris, John Banks and others were killed, June 15, 1862. G. M. Howard, Men, Motives, and Misunderstandings: A New Look at the Morrisite War of 1862, Utah Historical Quarterly (1976) 44:112-132.